What are Cod Liver Oil 1000mg Capsules? Improve the formation of neural cells and maintain the heath of the nervous system. Maintain a healthy looking skin. Maintain heart health and proper blood circulation. Omega-3 fatty acids may help protect the heart. People who eat a typical western diet which lacks in Omega acids, EPA and DHA. Those who wish to maintain healthy supple joints and relieve joint pain. Those who wish to maintain healthy blood pressure and heart health. Caution : This product contains Vitamin A. Do not use if pregnant or likely to become pregnant except on the advice of a doctor or ante-natal clinic. Allergen Information : This product contains fish oil and soya. Free from Yeast, Gluten, Wheat, Dairy, Sugar, Salt, Artificial Colours, Preservatives & Flavourings. Explore the entire range of Omega Fatty Acids available on Nykaa. 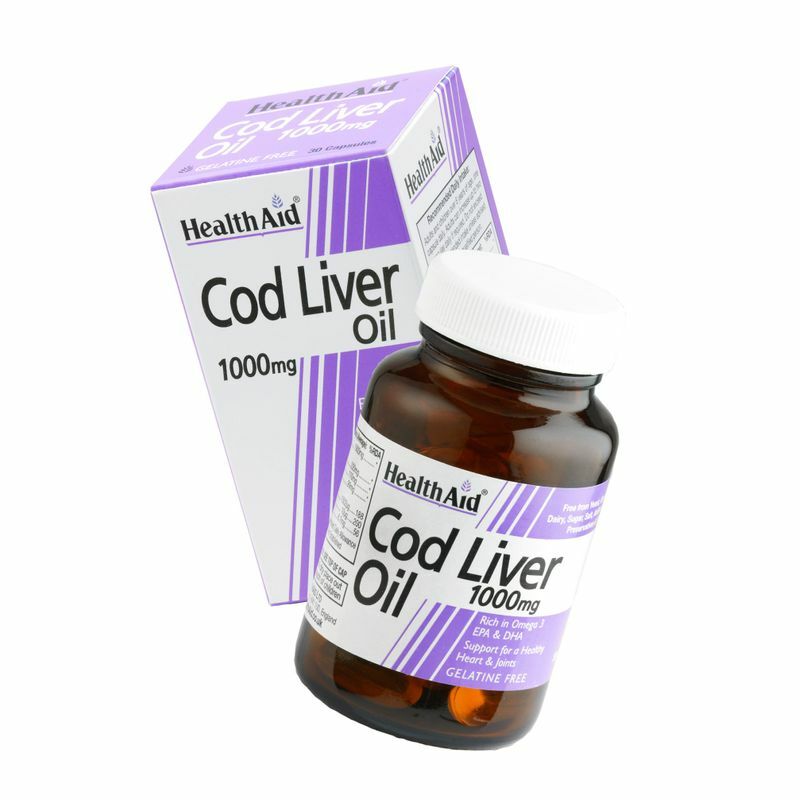 Shop more HealthAid products here.You can browse through the complete world of HealthAid Omega Fatty Acids .